A pretty country church in Oxfordshire was the venue for this intimate and special country wedding. Beautiful bride and groom here - they have stuck together through thick and thin and their love and respect and happiness just shone out for all to share. What an honour and a pleasure to be part of their special wedding day. Those last few seconds of being a single girl, the look of love and pride from your father just before he officially "gives you away"
Those last few moments of being a single girl, the look of love from your father just before he officially "gives you away"
This photograph was captured just before the bride's father "gave her away" during the early part of this church ceremony in Aylesbury, Buckinghamshire. Such an old tradition but so symbolic of the ending of good things, and the start of new things even better. One of the most important things for me, about being a wedding photographer is getting to know people quickly and easily. 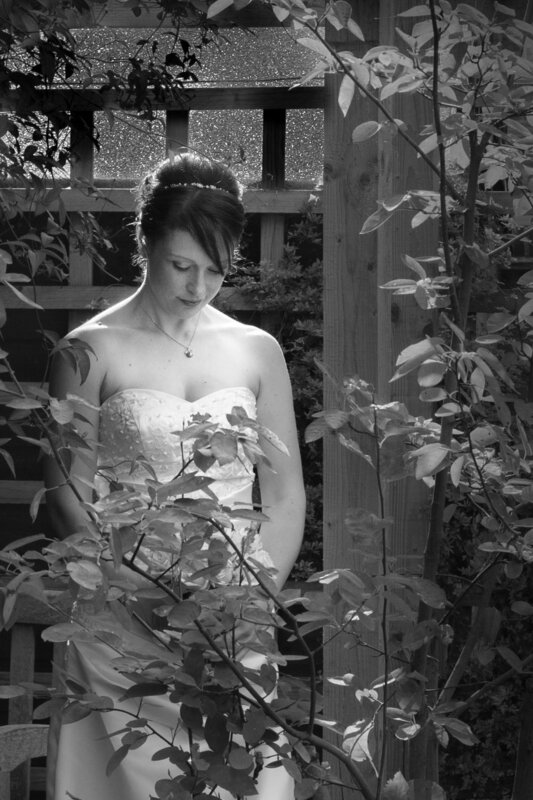 I use my skills as a photographer and a people person, to help you feel at ease, calm, comfortable and relaxed. This way, I can then understand more the type of people that you are, and what matters to you so that I can more easily read your expressions. I especially look to capture those not-to-be-missed, natural, candid moments shared between fathers, daughters, mothers, sons, friends, family, brides and grooms; Those fleeting moments, quick glances and emotions, split seconds when true feelings bubble to the surface - nerves, expectation, hope, serenity, calm, excitement, happiness, sadness, happy tears, sad tears, pride, and of course, love. Thank you for having me there to photograph your lovely wedding day - it was an honour and a pleasure and the memories (and the photographs I captured for you), will stay in my heart for a long time. At last the day arrived for this Vintage-style country Wedding.